December was a pretty good month for me, I was in a really great mood for most of it and I got a lot done. Because I was so busy, particularly in the last couple of weeks of it, I didn't have much chance to try a lot of new products, it was all about being as quick as I could whilst still looking put together. I did pay more attention to skin care though, after all it has been really cold, and my skin always suffers when the weather changes. 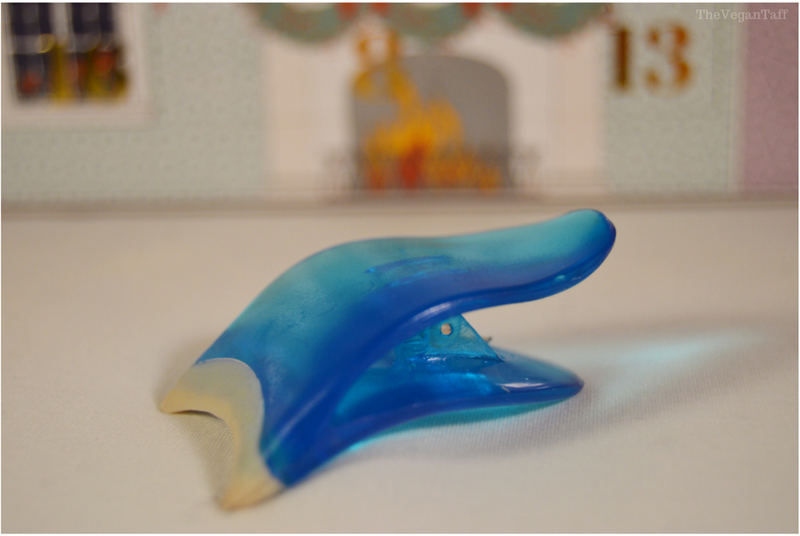 The following are some of the new things I used in December, and a few old favourites too. I really like OCC Lip Tar's, especially Black Metal Dahlia which is my favourite lip product of all time, but I find that they can dry my lips out if I wear them too regularly. The Lip Tar Primer has solved that problem completely. A tiny bead of primer is all I need to apply over the lips a couple of minutes before I apply any Lip Tar, I then blot off the excess and apply the Lip Tar as usual. My lips haven't been dry at all whilst using this, and I find it also adds moisture throughout the day if I use it on top of the Lip Tar. 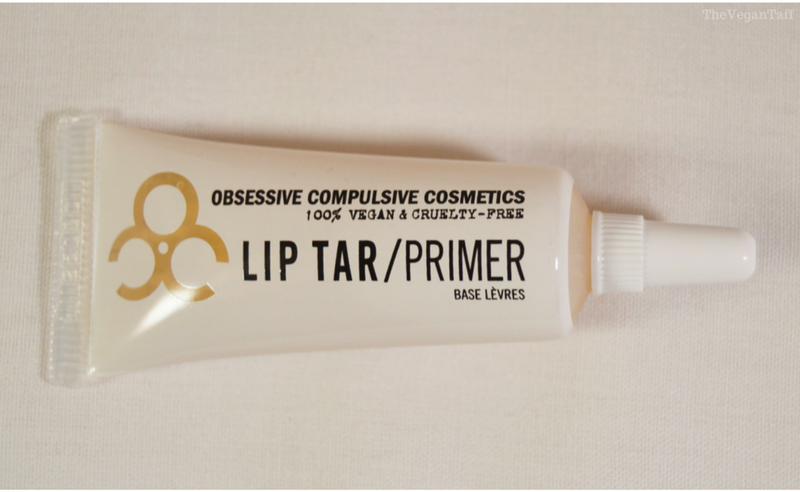 If you too have been having difficulties with Lip Tar's drying your lips out, I'd recommend picking up the primer. I know I talked about Crazy Rumors in my November Favourites, but it's the Black Cherry scent that I've been loving this month, as well as the formula of course. To be honest I don't really get much of a cherry scent from the lip balm at all, but what I do get is a strong smell of Mr Kipling's Cherry Bakewells, one of the most glorious food smells ever, in my opinion. 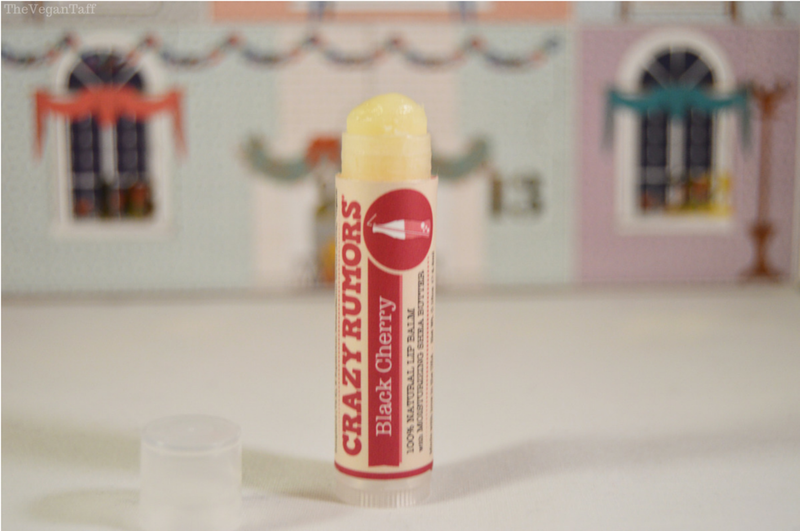 As with every other Crazy Rumors lip balm I've tried, it tastes lovely and lasts longer on my lips that any other brand I've ever tried. As I told you in my Weekly Round-up, I had my Christmas make-up planned for a couple of weeks, but my lips weren't in the best condition so I had to forget about the matte red lip and go with something a little more hydrating. The B. 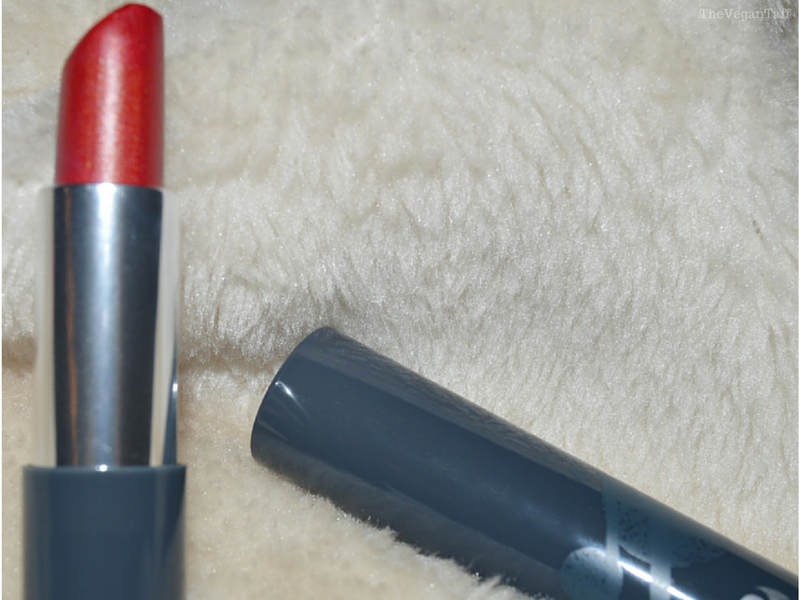 Rich lipsticks are very moisturising so I chose Carmen, a very wearable brown based red. It's so smooth and creamy that it was really comfortable to wear for 14 hours and my lips felt a lot better when I took it off than when I put it on. I have a couple of shades in this range and hope to be able to get to a Superdrug soon so I can buy more, rather than looking up swatches online. Unfortunately I've lost my lipstick over the past couple of days, so here is a photo I took last week (for the main picture for this post I'm using another shade). I'll definitely be buying another one of these while they're on offer. I won't get into the negativity around this perfume, I touched on that in my Weekly Round-up when I first bought it, but aside from that I love it. The perfume has notes of patchouli, black pepper and vanilla absolute which makes it spicy, musky and creamy all at the same time, it's just glorious and is easily my favourite perfume of all time. The only disappointment is that it's limited edition and is no longer on sale, so I've fallen in love but know that this is the only bottle I'm ever likely to own. I've never received as many compliments on a fragrance as I have when I've been wearing this and the smell last all day, which is very rare in my experience. 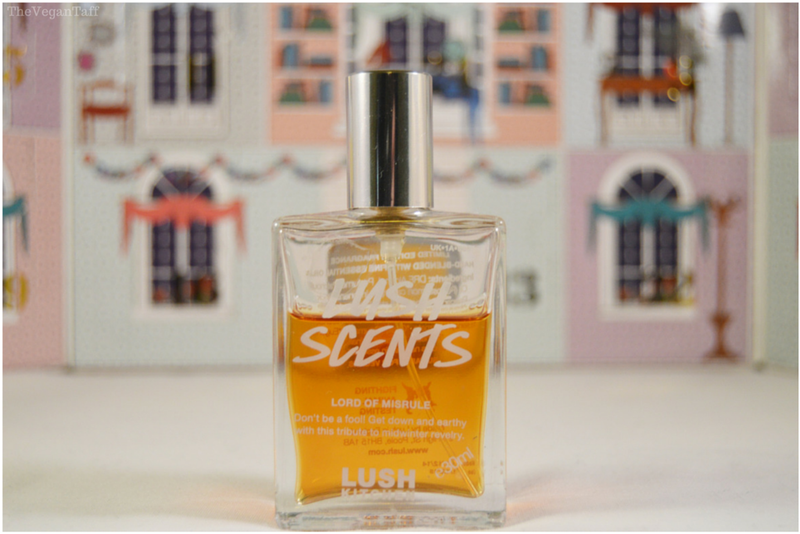 I really can't say enough good things about this perfume and really hope that Lush re-release it next Christmas. I wrote a post about Heel Genius a good few months ago, and I still love it just as much now as I did then. It's the perfect foot cream; it sinks in quickly, doesn't leave my feet greasy and leaves them feeling very soft and smooth. But I've been loving it this month on my elbows. In the winter I get very dry, and sometimes cracked, skin on my elbows, but thanks to this cream this year they've stayed soft and moisturised. I apply a small amount every night before bed and it's kept all of my usual winter problems at bay. I've tried so many creams over the years for this problem, but none have worked as well as this. This is another product that has been a skin saviour this past month. I love this to remove any dry skin on my elbows because it's really gentle whilst also having just the right amount of scrub particles. Made up of shea butter, almond oil and grapeseed oil it's a very moisturising scrub that is perfect for the most sensitive parts of your body. I first discovered this back in the spring, and haven't been without a tub ever since. As I mentioned above, my skin has been really feeling the cold this month, so I've been getting more dry patches than usual, and more than my moisturiser can handle. 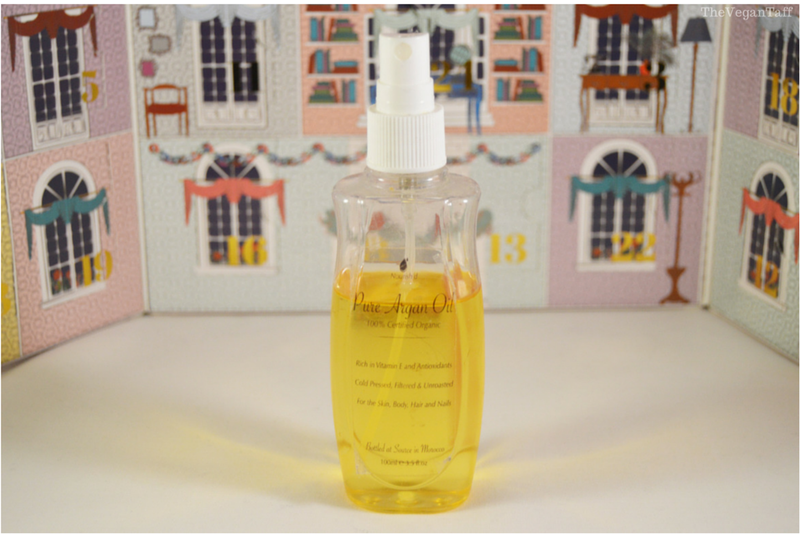 I did a bit of online research and found that the number one recommendation for the skin issues I was having was pure argan oil, so I went to Amazon and found this 100ml bottle for only £8.99. I've been using this on my face as a serum before my moisturiser, on my elbows, knees and pretty much anywhere else I feel could do with an extra boost of moisture, and it's really helped. It's helped keep my flaky skin at bay and leaves my face feeling really soft and nourished. I don't like to use it before I apply my make-up, but in the evening or on a lazy day it's been brilliant. I've been eyeing up this advent calendar for a couple of years now, but at almost £50 I just couldn't bring myself to buy it for myself. This year I was lucky enough to get it off my Mum, because it was a few days into December it was on sale for only £24! Behind every door was either a mini nail polish, loose glitter, nail decals, nail caviar or, on the 24th December, a full sized polish. There was a great selection of shades and finishes of polish and plenty of extras for the nail art enthusiast, I'm really impressed with it. 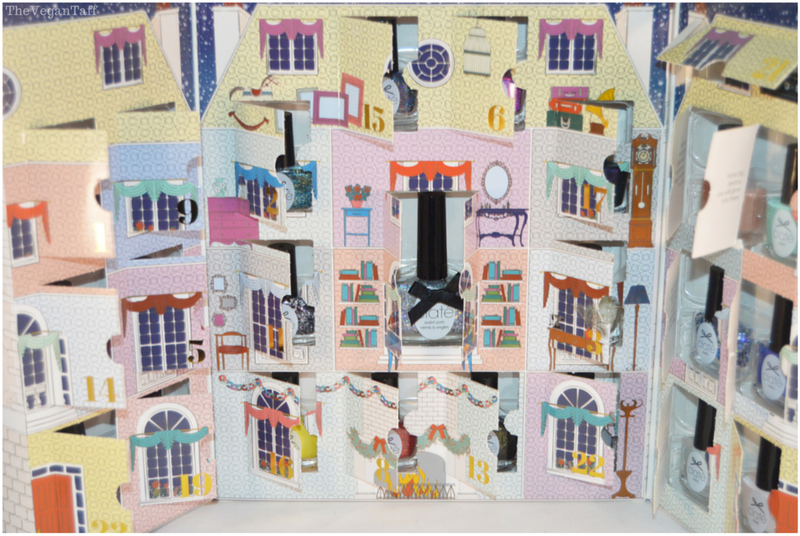 I'm so glad I finally got to own one of these advent calendars and with each door working out at only £2 I might actually buy it for myself this year. I've never really been one for false lashes, as much as I like the look of them on other people it just seemed like too much work to wear them on a regular basis. I've struggled with them for fancy dress or the very odd occasion in the past, but never found an easy way to wear them, that was until I bought this applicator from eBay for just 99p. You simply squeeze the handle together to open it, pick up the lashes and they're already in the perfect shape for your eye, it really is fool proof. I've finally found a way to apply lashes quickly and can actually get some use from the lashes I've had stuck in a draw for years. I've been really lucky over the last couple of months and have been to see two ballets, my favourite of the two being Swan Lake. 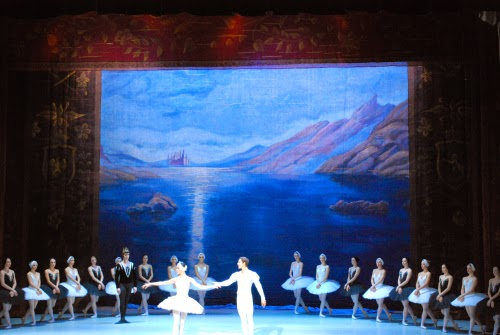 My mother and I have wanted to see Swan Lake for years, so for Christmas I bought us tickets for a performance in Cardiff. I got the best tickets I could, and when they came they were for row F, so I assumed we were in the 6th row, but when we got to the venue they had removed the first 4 rows of seats to make room for the orchestra, so we ended up in the 2nd row, right in the middle of the stage. The performance was amazing, easily the best thing I've ever seen in a theatre, and thankfully Mum thought so too. I can't wait to go and see the company again when they return to Wales. Unfortunately I wasn't able to take any photos in the theatre, so the above photo has been taken from this website and full credit belongs to the author. What have been your stand out products from December? If you have any recommendations for me please let me know in the comments.